In 2016 the Gastroenterology Foundation of South Africa initiated discussions with a group of Hepatologists from 15 sub-Saharan African (SSA) countries in order to form a Viral Hepatitis Advisory Board. The aim at the outset was the drafting of guidelines for the screening, detection and treatment of chronic viral hepatitis B and C for the region. These guidance documents , which are in accordance with the WHO guidelines for the global elimination of chronic HBV and HCV by 2030, have been completed and adopted and were published in the December issue of Lancet Gastroheaptology in 2017. Building on the success and promise generated by their work on the Hepatitis guidance documents , Hepatologists and Gastroenterologists from across the sub-Saharan region discussed the idea of extending and formalizing their collaboration. This culminated in the formation of an Organization to be known as the Gastroenterology and Hepatology Association of sub Saharan Africa (GHASSA). GHASSA was inaugurated in December 2017 in Cape Town. This Association is expected to incorporate the Hepatologsts and Gastroenterologists who work in the sub-Saharan African region. Being mindful of the challenges their clinical practice and research present in the subregion, a number of Working Groups within GHASSA have been formed. These include the SSA Hepatology working group, SSA IBD Working Group and SSA Endoscopy Working Group. 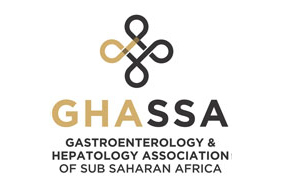 The African Network for GI and Liver disease, under the directorship of Professor Lewis Roberts of the Mayo Cinic, USA, has aligned itself with GHASSA. 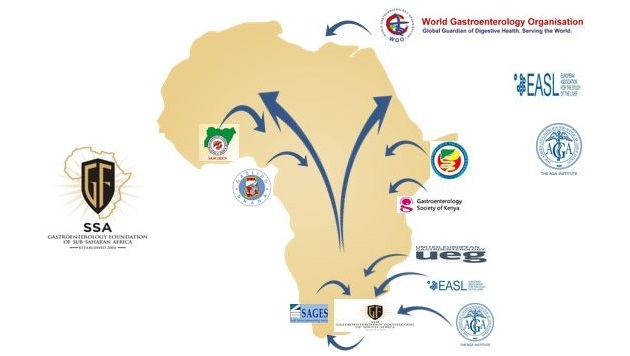 GHASSA also plans an affiliation with the World Gastroenterology Organisation (WGO), and her regional affliliate, the Africa-Middle East Association of Gastroenterology (AMAGE), in due course.